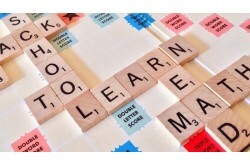 Learning English as a second language can be vital for being successful in the workforce. This course introduces the English language for Spanish speakers. In this course, we will cover the basics of English vocabulary, grammar, literacy, and conversation skills to individuals with little or no knowledge of the English language. This course will show you the proper ways to structure sentences and communicate in a conversational way to others. Other topics covered include how to construct paragraphs that flow gracefully, provide clarification to some of the English language's most confusing and confounding words, and the rules of capitalization. Spanish is the second most widely spoken language in the World. Business continues to expand globally and the ability for employees to communicate in multiple languages has become a necessity for survival in the marketplace. Strengthen your multicultural team and better support your diverse customer base by learning basic Spanish-speaking skills. Spanish for the General Workplace provides pronunciation, basic grammar, and workplace-related vocabulary to help you communicate in Spanish at the typical place of work. Learn greetings and introductions, how to ask for basic information, common phrases, professional titles, and survival vocabulary. Cultural information is also provided to build contextual reference when speaking with native Spanish speakers. The workplace today is multi-cultural and Spanish speaking people make up a large percent of the business workforce. The Spanish speaking world is rich in history, music, culture, and traditions. Success in business is not just about your product and service it’s about people, traditions and relationships. This course provides essential information on attitudes, beliefs and behavior in the Spanish culture, ensuring that you are aware of basic manners, common courtesies, and sensitive issues.